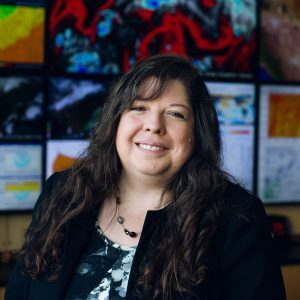 Students seek her out to navigate University matters: young women ask about work-life issues; and junior meteorologists look for professional pointers. The author of Taken by Storm, 1938: A Social and Meteorological History of the Great New England Hurricane, Avilés is currently working on books on atmospheric optics and Caribbean hurricanes, and graciously shares writing and publishing tips. All of this mentoring is unsolicited. “I’m surprised how much I’ve served in that role without even thinking of it,” she says. Her campus collaborations include co-writing “Stormy Weather,” a play/vacation camp for elementary students. Avilés, the production’s science consultant, worked with education, theatre, and meteorology students, and only in retrospect did she recognize the mentorship aspect of her contribution. After earning his business management degree from Plymouth State, Terrence “Terry” Reddington embarked on a highly successful, ongoing career, progressing from operations management to manufacturing electronics and technology. Through work in sales, presales, product development, artificial intelligence, and more, he’s evolved over decades of change by focusing on staying relevant. “I’ve done my best to remain that way with the technology and the people I interact with as clients,” he says. Reddington’s professional mentoring perspective has been finely tuned through experience with corporate mentoring programs at KPMG and SAP. 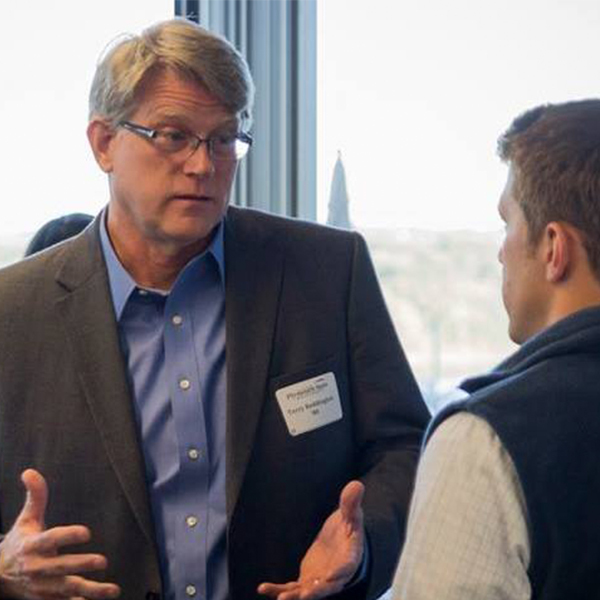 The latter’s sales graduate program led to a connection with Professor Robert Nadeau, who directs the University’s Professional Sales Program. Reddington’s extensive background is paired with an abiding interest in PSU and its students. “My experiences at PSU were so great, and I look back on them very fondly,” he says. He volunteered for PSU’s alumni mentoring programs in 2015 and 2016, helping one student negotiate job offers and another set up her LinkedIn profile. He stays in touch with students via the social media platform and continues to generously share advice. Her spring Social Entrepreneurship special topics course demonstrated that Bechard’s time-honored mentoring strategy remains on point. The course’s “Climb Above Addiction” project was devoted to addressing the opioid crisis, and several students revealed in an early planning meeting that they had lost someone to overdose. 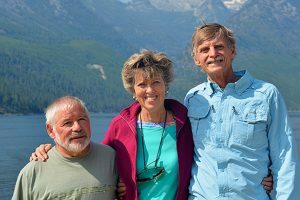 The event raised awareness and funds to combat the crisis by allowing participants to experience adventure therapy through rock climbing and hiking, with proceeds benefiting a local recovery retreat center. It also gave students a needed outlet to tackle something as big as addiction. 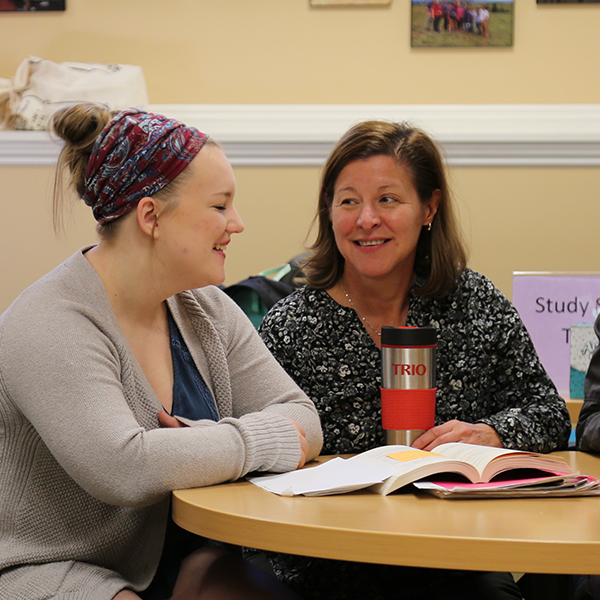 Patti May, director of TRIO, has a professional view of the University’s strong mentoring culture. A staff member since 2003, she oversees a peer mentoring program that teaches mentorship skills and fosters mentor relationships for students who are either first-generation, low-income, or have a disability. These three factors affect more than half of all PSU students. Students, who might not have previously known what the Registrar does, learn about campus programs, offices, and buildings, and mentors are trained in conflict resolution and other useful skills. May gets special satisfaction from mentor relationships that benefit both parties. She recalls a student who had been very shy and didn’t think he belonged in college, and would quickly pass her in hallways without making eye contact. His mentor was also somewhat hesitant in taking on her role, but grew in confidence through work with TRIO’s educational coordinators. In turn, the student mentor made a strong connection with the shy student, who stayed in school, flourished, and has become a mentor himself. He now makes eye contact easily and wins smiles in return. 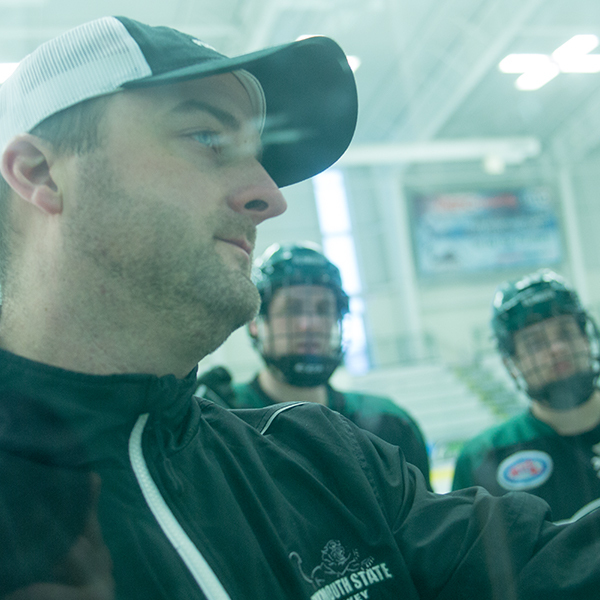 Craig Russell is in his ninth year as Plymouth State University’s ice hockey coach after serving as assistant coach for seven years. He also played on the team. The sport has profoundly shaped him, but he downplays its importance in light of life’s more lasting lessons. Inviting fans and their kids down to the locker room and celebrating the successes of other athletes are among the many ways that Russell’s team reciprocates. The team works with local nonprofit Voices Against Violence to combat domestic violence, and the “Good Deed Challenge” has players devising community assistance projects. Teammates have unloaded trucks for thrift stores, gathered trash, raked lawns, and delivered food. The “Team IMPACT” initiative involves a local child recovering from cancer who regularly comes to practices and games. “He puts so much into perspective for our group,” says Russell. Children with health concerns are also the focus of the holiday season “Teddy Bear Toss,” through which the men’s and women’s ice hockey programs team up with the Children’s Hospital at Dartmouth (CHaD) to collect and distribute stuffed animals for children undergoing treatment. The student thanked Russell when he graduated and has gone on to career success. Russell can easily list other alumni of his program who have achieved great things in law school, corporate life, public service, and entrepreneurial pursuits. It’s their commitment to serving others and giving back, however, that he considers the greater accomplishment. 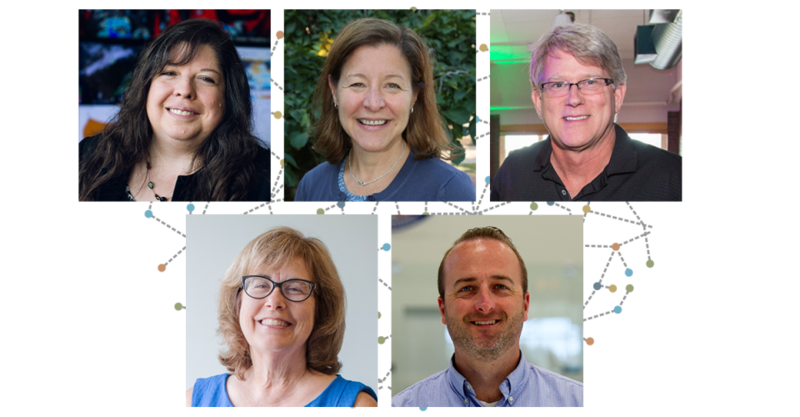 From the top: Lourdes Avilés, John Tully photo; Patti May, Ian Halter photo; Terry Reddington ’80; Bonnie Bechard, John Tully photo; Craig Russell ’04, Mackenzie Fullerton ’17 photo.